When you’re looking for ways to speed up productivity, improve quality and overcome the challenges of modern commercial construction projects, nothing beats the performance and versatility of a 6-section, 57-meter concrete boom pump with x-style outriggers. The RZ 57-meter concrete boom pump is our longest and most productive pump for medium to large commercial construction sites. 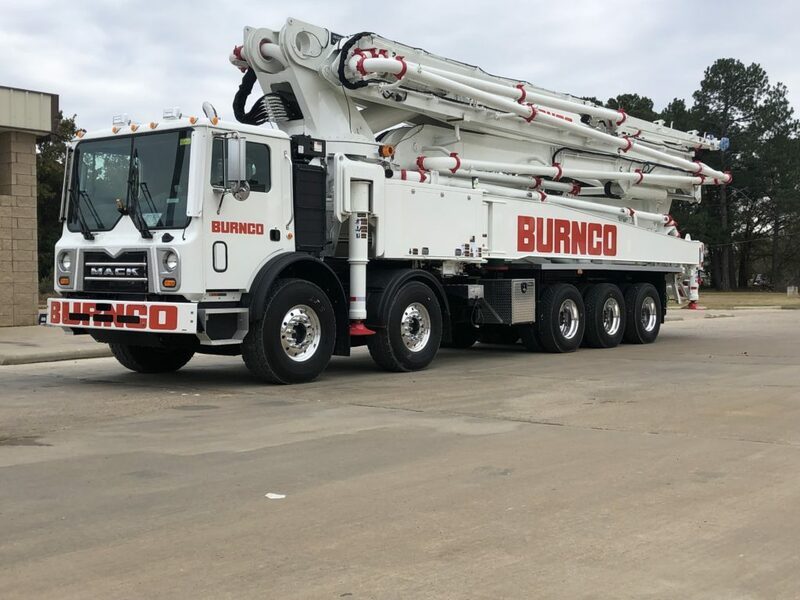 The 57X-6RZ features a 6-section boom that allows for ultimate maneuverability compared to other 57-meter boom pumps available in todays market. Ideal for use as a high-rise concrete boom pump, you benefit from high-performance delivery of materials in tight spaces and to elevated locations for a faster return on your investment. 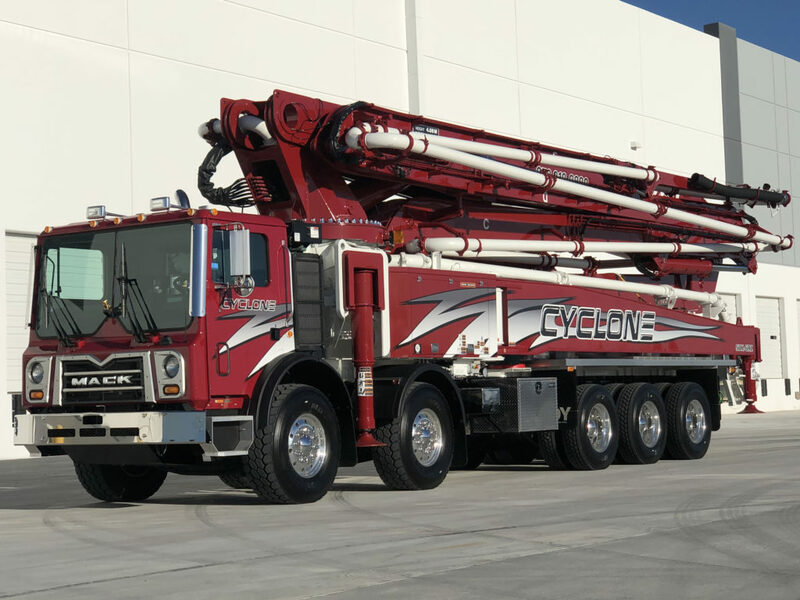 This 57-meter concrete boom pump provides a x-style outrigger layout for exceptional jobsite mobility. The 6-section design with simplified radio remote controls make it easier for operators to move the boom into the optimal position for less labor intensive pumping of concrete. It’s ideal for pumping concrete to upper floors of a building for walls and columns, as well as for foundations, decks, parking structures and more. As a full-service source for commercial concrete boom pumps, DY provides an extensive inventory of replacement parts in stock for all models. Cold climate packages are also available on 57X-6RZ boom pumps to ensure you’re ready to meet all local operating requirements in the winter weather. We offer three strategically placed locations in Calgary, Dallas/Fort Worth and Tampa, so we can get you the parts you need fast and eliminate costly downtime.